Templeton has been almost his normal self the past few days after we switched him to a different type of kidney-friendly food, so I’m guardedly optimistic that he’s finally getting back to normal, 3 months after swallowing the sewing needle before Christmas. I’m not ready to declare victory quite yet, but I’m breathing a little easier. This picture is from 2002 when we were living in Keizer. 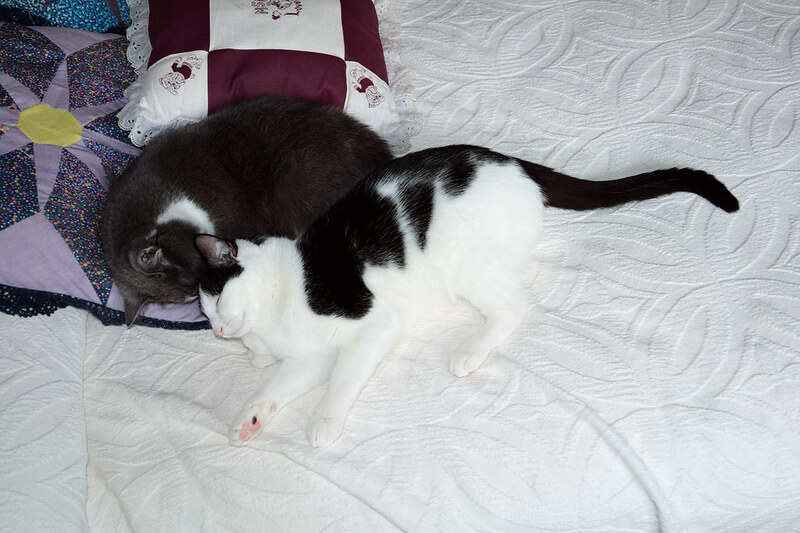 Scout loves to curl up with Templeton but he usually prefers to sleep on his own. If she’d catch him when he was tired enough, he’d decide it was better to let her snuggle than to have to get up and move somewhere else.